Stir red onion, mayonnaise, hot sauce, cilantro, 2 teaspoons lime juice, cumin and lime zest in medium bowl to blend. Mix in crab meat. Season salad with salt and pepper. Brush each avocado with the remaining 1 teaspoon lime juice to prevent avocado from browning. 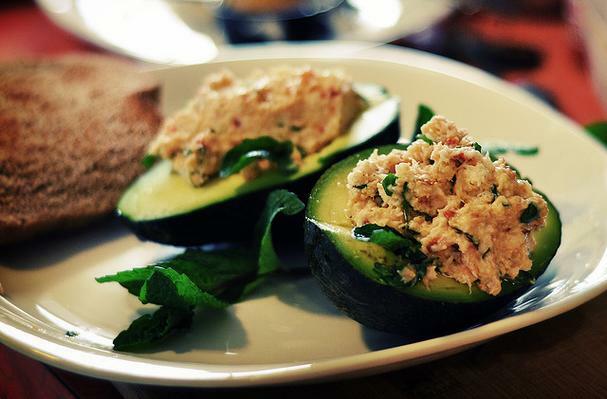 Mound crab salad on each avocado half. Serve salad with lime wedges.